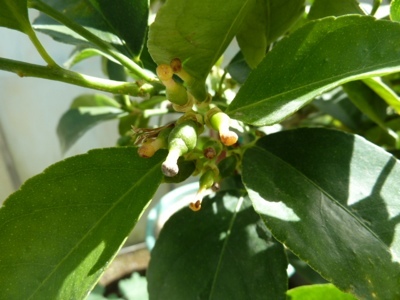 My Home and Garden: And now we have a Bearss Lime. 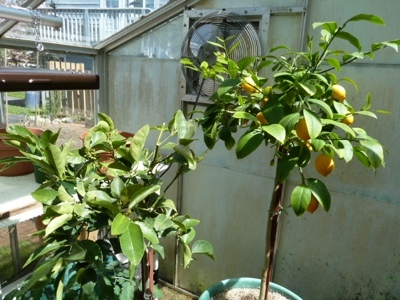 I received a notice that the citrus trees are in. They have so many. It's awesome to see dozens of citrus all together. I bought the large size. It is the same size that my Meyer Lemon was when I bought it a year ago. I am really surprised how much it's grown in a year. The pictures are of the lemon and lime together and a close up of the little limes. I chose Bearss because of the taste and the amount of fruit they carry.